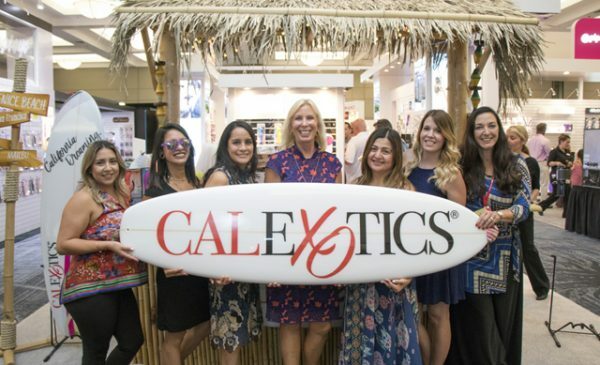 CalExotics used January’s ANME to kickstart its 25th anniversary celebrations and launch over 70 new lines across a variety of product categories, including the brand new Slay collection, the new Optimum Series Advanced Automatic Smart Pump, and additions to the California Dreaming and Remotes collections. The Slay collection consists of four massagers designed to tease, please, excite, and love. Each piece is made of silicone, features 10 functions of vibration, pulsation and escalation, and boasts gold-plated accents. The new Advanced Automatic Smart Pump is said to feature leading-edge technology that allows users to customize up to a 20-minute workout with tailored exercise intervals and pressure. An LCD screen ensures users can keep track of the pressure, mode, workout time and battery life.